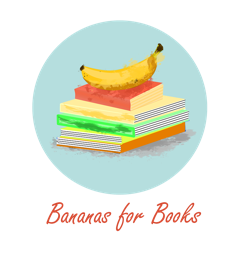 Take a look at her blog here, and give her some Twitter love here. 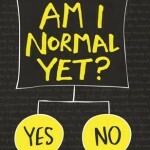 Am I Normal Yet? by Holly Bourne — YA contemporary. All I knew when starting this was that it’s about a teen girl with OCD, but it turns out it’s much more than that. Often funny despite the sometimes heavy subject matter, filled with truth, and with so much heart. Am I Normal Yet? is the first in a new series, but stands very well on its own. Can’t wait to read more Holly Bourne. 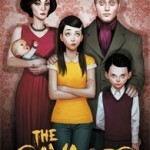 The Savages by Matt Whyman — YA comedy horror about a family of cannibals. I’d wanted to read this for a long time, but ended up finding it a bit more disturbing than funny. The Dying of the Light, Skulduggery Pleasant #9, by Derek Landy — YA urban fantasy. Last book in the series, and it was everything I could have wanted. 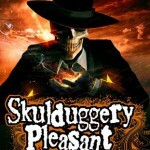 I’ve enjoyed Skulduggery Pleasant so very much, and am in complete awe of Derek Landy. 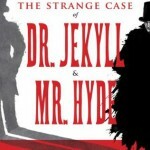 The Strange Case of Dr Jekyll and Mr Hyde by Robert Louis Stevenson — Classic horror. This is one book I never got to in my classic gothic fiction phase, so thought I’d remedy that for Halloween! The Haunting of Sunshine Girl by Paige McKenzie — YA paranormal based on a YouTube channel, and one of my most anticipated books of the year. Entertaining, with an interesting twist on the ‘seeing ghosts’ trope. 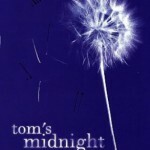 Tom’s Midnight Garden by Philippa Pearce — Children’s classic. I must have read this so many times as a child, but it felt like reading it for the first time. A poignant tale that left me with a lump in my throat. 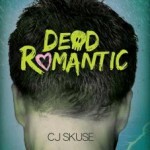 Dead Romantic by C.J. Skuse — YA comedy horror. Loved it! This Frankenstein / Herbert West—Reanimator reimagining manages to be both gory and incredibly funny, with moments of romance and real friendship in amongst the silliness. An excellent Halloween read. 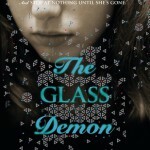 The Glass Demon by Helen Grant — YA mystery. I was very intrigued by the concept for this — the main character’s family is threatened by a series of murders, supposedly perpetrated by a demon that haunts a set of ancient stained glass windows. I really enjoyed it, and am looking forward to reading more of Helen Grant’s books. 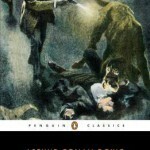 The Hound of the Baskervilles by Arthur Conan Doyle — Classic mystery. I tried reading this as a kid, but never finished as I found it a bit dry. Adult-me can sympathise, but also appreciate that it’s a clever story. 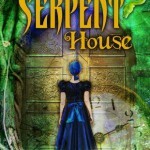 The Serpent House by Bea Davenport — MG historical about a girl in 1899 who can time-slip back to the eleventh century. I really enjoyed The Serpent House, and think it deserves lots more attention! Loved the settings — a medieval leper hospital and a Victorian mansion decorated with snakes. The characters are diverse, and the plot exciting with a dramatic conclusion. 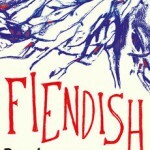 Fiendish by Brenna Yovanoff — YA fantasy / horror. Brenna Yovanoff is one of my all-time favourite authors. Fiendish is about a girl who’s locked in a cellar for ten years, surviving only on magic, and what happens when she’s set free. I enjoyed it, though it’s not my favourite of her novels (that award goes to Paper Valentine). 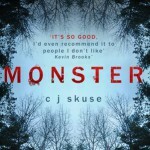 Monster by C.J. Skuse — YA horror / thriller. Monster is set in a girls’ boarding school inside the territory of the Beast of Bathory—a giant cat which has been responsible for numerous deaths. A group of girls are stranded in the school over Christmas, and bad things ensue. 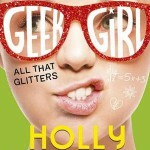 All That Glitters, Geek Girl #4 by Holly Smale — YA funny contemporary. Really enjoy this series. Like the previous Geek Girl books, All That Glitters is light and entertaining, but knows how to pack an emotional punch. 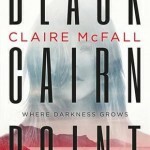 Black Cairn Point by Claire McFall — YA horror. I’ve wanted to read Black Cairn Point ever since I first heard of it. It’s about a group of teens who go camping on a deserted beach, accidentally disturb a pagan burial site, and awaken a malevolent spirit. I thought it was great, though wasn’t sure about the ending. 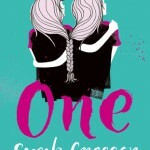 One by Sarah Crossan — YA contemporary in free verse. I read One in a couple of hours, and was completely absorbed. About conjoined twins as they tackle the social and medical issues that affect them, I found it beautiful and heartbreaking, and am very glad I read it. Full of Landy’s trademark wit, action and razor sharp dialogue, DEMON ROAD kicks off with a shocking opener and never lets up the pace in an epic road-trip across the supernatural landscape of America. Killer cars, vampires, undead serial killers: they’re all here. And the demons? Well, that’s where Amber comes in…Sixteen years old, smart and spirited, she’s just a normal American teenager until the lies are torn away and the demons reveal themselves. I loved Derek Landy’s Skulduggery Pleasant series, so was very excited to get my hands on Demon Road, the first in Landy’s new trilogy. Demon Road reads very differently from the Skulduggery books. This is a new world with totally new characters, and though some of the trademark humour is there, DR is really rather darker than SP. Having said that, there was a very Demon Road-esque subplot in the final SP book, which I’m assuming was intentional — Derek Landy’s one clever author! It’s hard to talk about Demon Road without giving away more than is in the synopsis, but suffice to say I thought it was brilliant and can’t wait for book two. If you haven’t tried any of Landy’s books yet, I thoroughly recommend them. What was the best book you read in October? such fab little reviews that really hit the spot.